Arabella Eunju Kim is an international non-life insurance and reinsurance professional with deep experience in innovative business development, brokerage, and management of global insurance programs. She, as a Client Manager, is working at Munich Reinsurance Company in Seoul, Korea from July 2013. She is recognized for driving new product & market development efforts with special concentration in the emerging risk and alternative capital sectors. Her market development goal is to enable clients to use new technology (e.g. IoT, Telematics etc.) and business models and insure new classes of risks. Before joining Munich Re, she was a Relationship Manager for three years at HIS Insurance Services in Seoul, Korea. She led multinational client services by designing and implementing global cross-border insurance programs tailored to multinational clients’ needs in association with the Wells Fargo Global Broker Network, Gallagher Global Alliance, and Worldwide Broker Network. 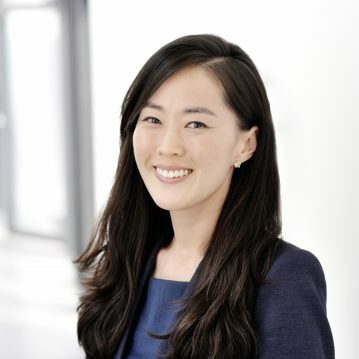 She studied Physics at the Ewha Womans University and completed specialized finance trainings: Finance Specialist in Private Equity at the London Business School and Venture Capital and M&A at the Stanford University Graduate School of Business.